Versatile, sleek and sumptuous, this super-soft brush is ideal for applying both foundation and blusher. This medium, dome-shaped brush can be used to apply liquid, cream and powder formulations, whether you’re acing your base or enhancing cheeks with blusher and highlighter. The vegan brush head is crafted from PETA-approved Taklon bristles (a hygienic, less irritating alternative to animal hair), while the weighted metal handle provides effortless control – and a welcome touch of luxe – to any make up collection. Versatile and luxurious, Hourglass’ No. 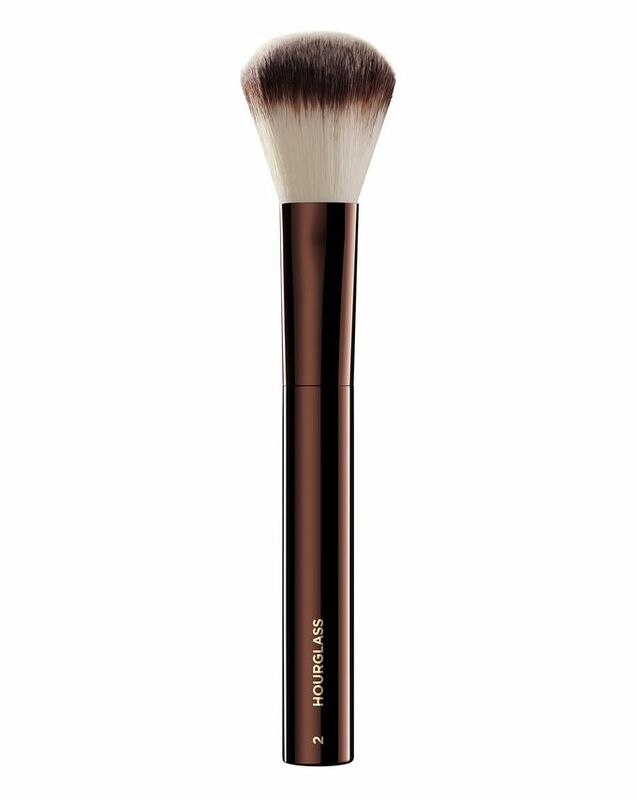 2 Foundation/Blush Brush can be used for all manner of make up artistry. With a sumptuous (totally vegan and PETA-approved) medium dome-shaped brush head, it’s ideal for adorning your complexion with foundation, blusher or highlighter. Suitable for use with powder, cream or liquid formulations, this sleek, super-soft brush ensures a flawless finish, with a weighted metal handle to provide control and effortless blending and application. Providing a more hygienic and cruelty-free alternative to animal hair, the bristles are crafted from Taklon, a material that’s also less likely to irritate skin than animal hair – we’re sold! Use to apply blusher, foundation or highlighter, in liquid, cream or powder formulations. This brush is amazing and I love it. However I've had this for a year and it is losing all its hair. I had the travel one and the same thing happened. Won't be buying again! I love the hourglass brushes. It is hard to find good synthetic brushes and these are really high quality and are really soft. It's not that I don't like this brush I just don't find much use for it. I bought this with the immaculate liquid powder foundation but I prefer to use vanish seamless foundation brush with it and that brush works with all foundations I have tried. I also don't find a need for it with powders, I bought the veil powder brush around the same time which is double ended with a big side and a smaller side and I always use this because it has to uses. It's a good brush but for me, I can't find an exact need for it because they have other brushes that do the job better.